The available field trips for preschoolers, kindergartners, and students in grades 1 and 2 are all fun, age-appropriate experiences. The content supports national, state and local standards to supplement your curriculum. Thanks to our Partners, all of Field Trip Factory’s programs are FREE! You will need to arrange for group transportation. Learn about where your food comes from and how to make healthy food choices at Schnucks! Students learn about making healthy choices and the shared issues of hunger and food waste. Two hands-on adventures to choose from at Weis Markets make learning about nutrition and food management fun! Explore the aisles and learn the importance of a balanced meal and more while making real-world food choices right in aisles of D&W Fresh Market. Explore the aisles and learn the importance of a balanced meal and more while making real-world food choices right in aisles of Dan's Supermarket. Learn the importance of a balanced meal, portion size, and more while making real-world food choices in aisles of Family Fare Supermarkets. Learn the importance of a balanced meal, portion size, and more while making real-world food choices in aisles of Family Fresh Market. Learn the importance of a balanced meal, portion size, and more while making real-world food choices in aisles of VG's Grocery. 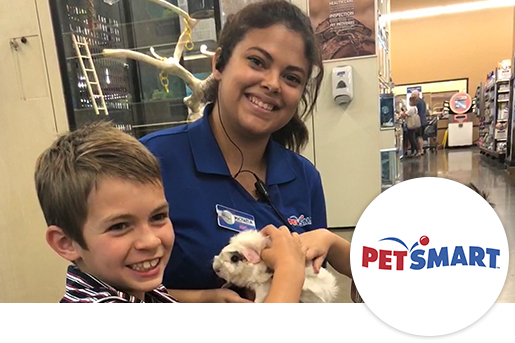 Learn about habitat, diet, behavior, animal welfare and more while you get up close to pet friends at PetSmart! Learn how the future of energy is happening right now with this new interactive experience located at the Chicago and Rockford Training Centers! There is no better place for children to learn than the aisles of their local Stop & Shop store. TEXAS kids want to know how to eat healthy! Healthy Buddy wants to show them how. Turn a visit to your local grocery store into a hands-on educational adventure.